There is a growing recognition, even a consensus, that health systems must be strengthened to achieve long-term improvements in health, including reaching the MDGs, and that valid tools to assess health systems are needed. While increasing emphasis is being placed on these topics (see here, for example), many questions remain: How should health systems be defined? Which is the best framework? Which indicators should be used to assess health systems performance?, etc. 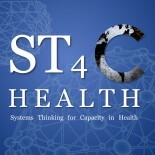 For a more detailed discussion of this topic, see this World Bank health systems workshop. 2. Local health workers’ capacity to identify and solve problems independently should be a major component of health systems strengthening. The health needs of any given community is continuously in a state of flux due to emerging diseases, changing demographics, environmental change, drug resistance, etc. A group has been formed to draft a consensus statement that outlines such principles, and we are planning on disseminating it widely. (See here, and here, for examples of consensus statements). Such a document could have a significant impact on global health planning and policy. I envision a team composed of 1-3 primary authors, a working group of 20-30 that revise drafts, and hundreds of other contributors. We will, I hope, publish it in a high profile journal, advertise it widely in the media, and use it to leverage health decision makers through out the globe. I am not aware of such a document. Does one already exist? Your involvement in this project could range from occasional, brief comments, to assisting frequently with the writing and advertising. I will plan on organizing the contributors, working as the primary writer (unless someone else wants to), and advertising by attending several global health conferences in the next year. I personally view this as a very important project that can make a significant impact. I’m wiling to put in the work to make it happen. About 15 experienced global health professionals and health systems experts have already volunteered to review the document. In addition, I will be attending a number of conferences in the coming year to advertise and seek guidance. Please let me know what you think of this idea, and how you would like to contribute. Be specific; let me know even if you only want to be included on the discussion. Also, please forward this to any of your colleagues, especially those that have extensive “on the ground” experience. Comment below, or email: ghsias at gmail dot com. This entry was posted on September 1, 2009 by chads in Announcements.